A while back I was intent on opening an Interior Design business. There were a few holdups - 1) I was in a weird place of still doing Architectural contract work, and wasn't sure which direction to really pursue, and 2) I began to see that my vision was TOO big, for this particular point in my life. The business model I'd been imagining was so complex I was completely overwhelmed with where to start. I'm not saying it's wrong to be super ambitious and have a big goal... but in my case the timing just wasn't right and I had to take a step back and reevaluate. One of the things I always wanted to do on the side of my business was sell cushions. I personally believe there is a gap in the New Zealand market for good-quality, designer cushions made from pretty fabrics. Finding a good floral around here is like pulling hen's teeth. (Is that the saying....?). Anyway, long story short, I decided to go ahead and open an online cushion shop. I buy the fabrics overseas and choose ones you'd almost certainly not be able to find here in NZ, then with the help of my mum we sew them into lovely, sturdy cushion covers with a neat border and hidden zip on the back. There are all 100% cotton or linen and are meant to last. My friend Shalita designed this beautiful logo and we were away! For now, this business is simple. There is a simple website. A simple shop. I'm happy adding more design services over time, but at this point in my life, simple is just right. Congratulations! I think it is so smart to start off small and grow organically. These are lovely. Congratulations Amy! Its so inspirational that you have followed your heart and dreams, I hope to achieve the same one day but right now, the timing is just not right... 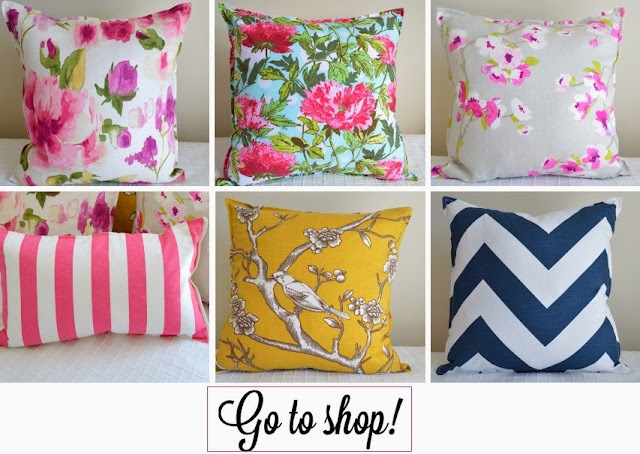 The cushion cover fabrics are a lovely selection too, all the best! Stunning pillows. So proud of you, friend!!! Will definitely be buying some of these for my clients and own home :)) HOORAY!